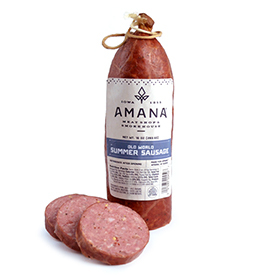 Our 100% Amana Beef Jerky is sliced thin and cured right here at the Amana Meat Market for superb quality. Available in convenient 1/4 lb. resealable packages. 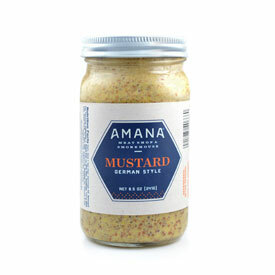 It's a naturally lean snack that is MSG Free and positively delicious! The buttermilk pancake mix and maple syrup were a big hit. Thank you for your high quality product! I will definitely be ordering this again. After you try it one time, you are hooked!! Big hit with my grandkids!!! I used to buy this Jerky when we lived in Iowa. I realized I could order it online and have to say... it was just as good as I remembered!! Owner Response:Thank you for your great comments. 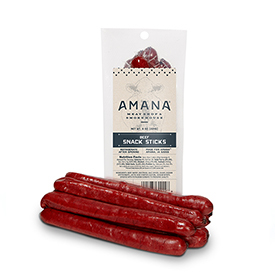 So glad you enjoy our Amana Beef Jerky! It was a little tuff...I was hoping it was going to be softer. Taste was good. 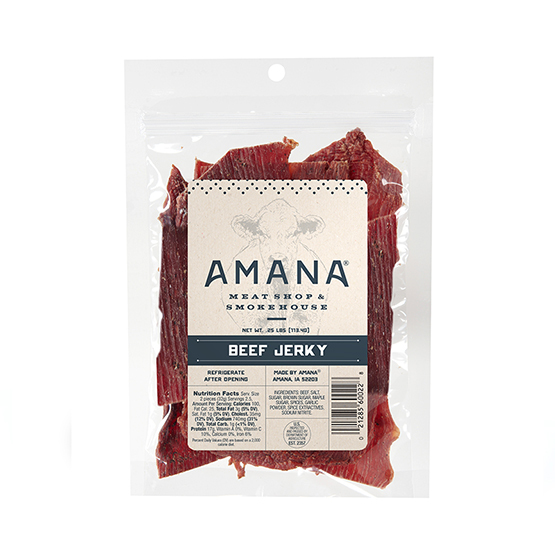 We visited the Amana shops a few years ago and brought home some beef jerky for the family. It was a big hit. I purchase it a few times a year. It is well worth the cost.